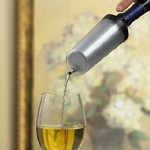 RAVI-France distribution - Ravi Instant Wine chiller for white, rosé or red wine. The Ravi is based on the innovative concept of cooling wine at the very moment it’s served. It’s not the bottle that is cooled, but the wine itself. The cooling process takes place as the wine passes through ravi. With an internal tube made from the same stainless steel used for fermentation tanks, ravi maintains the wine’s characteristics and never alters the taste. 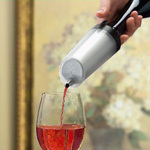 Do you want to resell the Ravi Instant Wine chiller ? WHERE TO BUY the RAVI ?